Every month, Alyson Charles (AKA RockStar Shaman) offers up an energetic forecast, which can serve as a metaphysical roadmap for the coming weeks. After all, it’s not just the stars and planets that can give you a heads-up on what’s about to happen. Keep reading for her cosmic divination for November: what she sees coming and the spirit animal she says you’ll want to call forth as a guide to help you on your path to self-actualization. Last month the divine guidance was for you to hone your gaze, to tap into a focus more powerful than ever before on where your life wants you to head and what feelings you are ready to feel. What clarity did you land on? What new direction has your life started to take? And where are these new energies now tugging at you to go? Another recommendation last month was to create an altar, a sacred space in your home with a few objects that bring you empowerment and joy. If you have yet to create one, no worries, you can do so now, as we will continue to work with the altar in a new way this month to further support all the transformations occurring. First thing each morning, take a seat at your sacred space and have a piece of paper or journal at your side. And start with just four minutes of breathwork. I would suggest that, first thing each morning, take a seat at your sacred space and have a piece of paper or journal at your side. Start with just four minutes of this breathwork sequence: Sit with your spine tall and embody the same posture you would have if you were sitting on a throne. Then simply inhale through your nose for four seconds, hold the breath for four seconds, then exhale through slightly open mouth for four seconds. As you find your rhythm and get settled with this breath cycle, begin to direct your inhales into your heart center (think of your heart chakra, glowing green). Then visualize your heart center being cleansed and becoming clear on the four-second hold, and last, allowing anything not serving your highest, greatest, earthly good to release on the four-second exhale. • I now allow myself to feel (fill in the blank with as many emotions as you want). • I now open myself up to (write as many answers as reveal themselves). This will be an extremely helpful and powerful practice as you shift from what is known as “the void” to concrete manifestation. (AKA let’s make some things happen. What do I see for the month ahead? Keep reading for the dominant themes for November, including the spirit animal. It’s fall, so the temperatures are falling—but the energy forecast clearly shows me that things are heating up, relationship-wise. Messages revealed that pleasure and sensuality are to be worked with in a healthier, more conscious, deeper way. What foods, ways of being touched, types of clothing etc…turn you on? Allow yourself to get more connected in this way and create space for more sensual pleasures this month. But be sure to be mindful in your delights and connect with your pleasures in a conscious way. Don’t settle—exercise self-love and honor by getting clear on what you want and sticking to that. The last aspects of the forecast this month also pertain to love—instructions to keep your heart open (doing the morning altar meditation listed above will do this for you). And remember that the more you face your own dark side (what is also called shadow work), the greater your capacity to love and accept yourself and all others. And don’t settle—exercise self-love and honor by getting clear on what you want and sticking to that! Sure, there is absolutely such a thing as healthy compromise, but there is also compromise where you accept terms that truly don’t feel good to your heart and soul—you know the difference. Choose your life terms in a brave way that honors your truth. And what animal totem is here to provide its love and medicine to us this month? The frog! As a symbol of transition and transformation, you can call upon him to work with you, and he will assist in giving you a new perspective on life. He can bring smoothness and grace during your new cycle of life and rebirth. 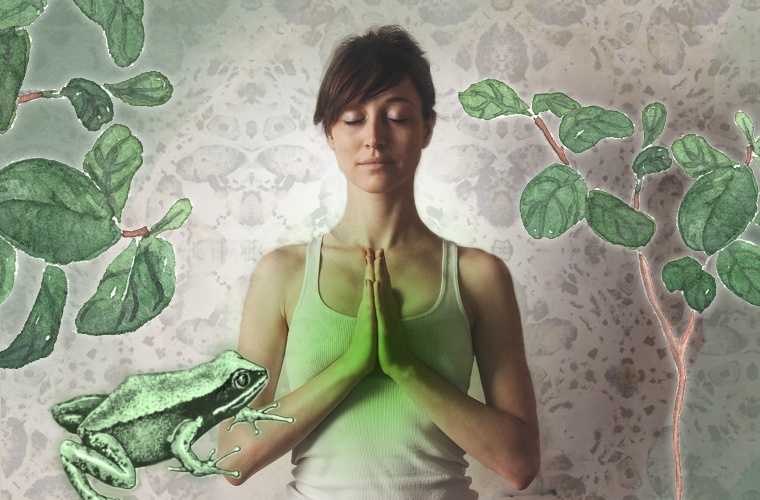 The frog also reminds you to detoxify and take better care of your health, and he is the symbol of fertility (the goddess of love was often depicted as a frog, in ancient Egypt and ancient Rome)—so be on the lookout for possible new romance, too. November is a passionate month, one that calls for you to make an important life pivot and go deeper within yourself to uncover richer self-love and self-realization. Let the powerful divine feminine energies pouring in more and more guide you—let them show you what shadow work to do, let them guide you in ways to receive more love and affection, let them hold and heal your heart as you rest. It’s nourishing, it’s surprising, it’s quite sumptuous—welcome to November. 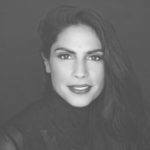 Alyson Charles, AKA RockStar Shaman, channels ancient, sacred knowledge and divine energy through her work as a wellness guide to celebrities and CEOs. Charles, a national champion runner and international TV and radio host, now uses her calling to shamanism to teach people how to awaken their power. So, what about your astrological outlook? Here’s astrologer Jennifer Racioppi’s weekly health horoscope and her guide to crushing it at work in Q4 (time to go for that promotion! ).